Amelia Elizabeth White (1878–1972) was born into an East Coast world of wealth and privilege. After serving as army nurses in Europe during World War I, she and her sister Martha chose to settle in the small town of Santa Fe, New Mexico. There Elizabeth became a passionate advocate for Pueblo Indian rights, an inspired patron and promoter of Indian art, and a dedicated community activist for the preservation of Santa Fe’s history. White organized several traveling expositions of Indian art and was instrumental in founding the Indian Arts Fund, the Laboratory of Anthropology, the Old Santa Fe Association, and the Santa Fe Indian Market. 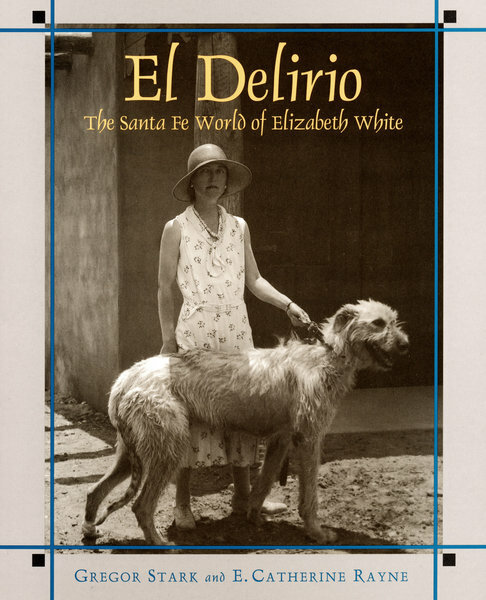 She also was a member of a wide circle of artists, writers, musicians, anthropologists, and archaeologists, whom she entertained lavishly at El Delirio (“The Madness”), the beautiful estate built by the White sisters in the 1920s. An eclectic combination of Moorish, Mexican, and Pueblo design, El Delirio was the setting for chamber music concerts, costume parties, and theatrical entertainments. Today it is the home of the School of American Research and the SAR Press. Gregor Stark is a freelance writer living in Wisconsin. E. Catherine Rayne was nurse, companion, and friend to Elizabeth White. She lived at El Delirio from 1942 to 1972 and was director of the Garcia Street Club from 1943 to 1955.